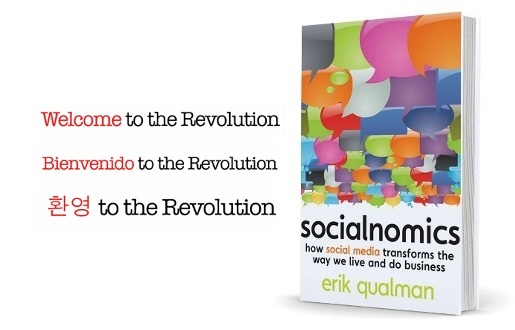 Erik Qualman, 37 year old author and columnist in the United States, has worked with Wiley to publish”Socialnomics: How social media transforms the way we live and do business”, a book exploring the impact of social networking as a phenomenon. The promotional video has become a popular feature on YouTube, copied and reproduced on a number of channels. Erik Qualman adapts James Carville’s famous 1992 Clinton campaign line,”It’s the economy, stupid”, to say “It’s a people driven economy, stupid”. Today we no longer search for the news, rather it finds us. In the same vein, consumers no longer search for products and services. Rather they find us via social media. Erik talks at BEA 2009 (Book Expo of America) about the impact of social media on businesses and consumers around the world, and what’s in store for the future. Qualman writes regular columns for Search Engine Watch and SES Magazine and published his first novel Crisis in 2005. He is currently the Global Vice President of Online Marketing for EF Education, the world’s largest private educator. Prior to joining EF Education, Qualman worked in online marketing and eBusiness functions at Cadillac & Pontiac (1994-97), AT&T (1998-2000), Yahoo (2000-03), EarthLink (2003-05) and Travelzoo (2005-08). Catch up with Qualman’s WordPress blog and his online presence on Wikipedia, Twitter, Google, YouTube, Flickr and Facebook.